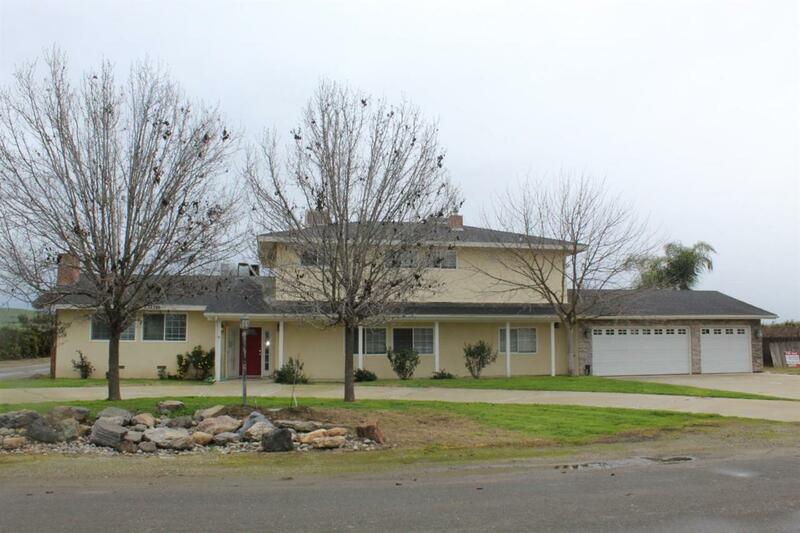 Enjoy country living, but still only minutes from the city of Visalia. This home has all the amenities one could ask for, this beautiful home sits on 1.25 acres, the property includes an 1800 sq foot workshop and a huge sparkling pool. Take in all the views this home has to offer either pool side or from your very own balcony. These spectacular views feature beautiful agriculture of the Central Valley and the gorgeous backdrop of the Sierra Mountains. This home feature hard wood floors, the kitchen has been updated with granite counter tops and new carpet has been installed in the stairway, hallway and all upstairs bedrooms. Listing provided courtesy of Ramon Ortiz of The Real Estate Firm.